Snagit’s image and video capture is powerful, but not complex. 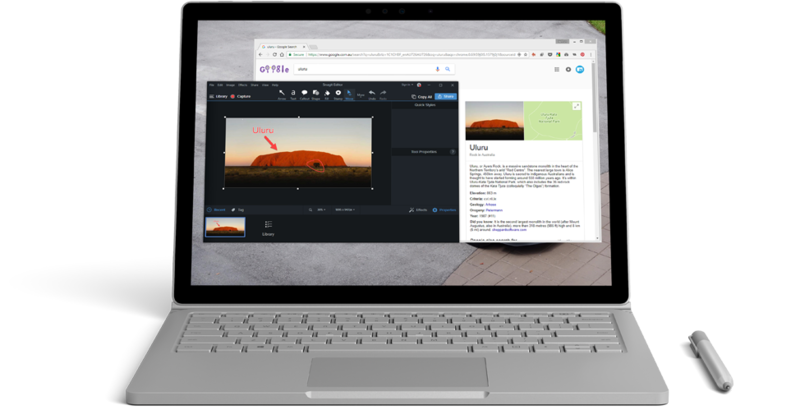 All-in-One Capture® grabs your entire desktop, a region, a window, or a scrolling window from any webpage or application—all with a single hotkey or click. Create images and videos to clearly get your point across. Spend less time trying to explain things and more time on the work that matters. Capture a website, record an online meeting, or send someone feedback in an email. Get a short URL to share your screenshots or recordings with anyone. Make sure to capture exactly what you need. Click and drag anywhere on your screen to select a region with pixel perfect accuracy. Sometimes it’s easier to talk things through. Create, narrate and trim quick videos of your screen for demos, feedback, reviews, and more. Quickly capture a full-page screenshot even if it’s not showing on the screen. Grab the horizontal, vertical, or entire scrolling area with just a click. Comment over your screen capture using text boxes. Point out your ideas with arrows and shapes. Or simply highlight key areas. 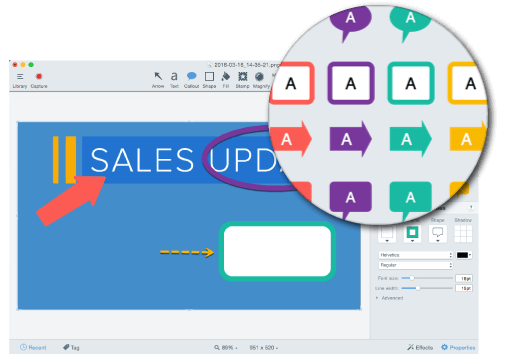 Snagit’s toolbar is completely customizable, so all your favorite tools stay front and center. Move objects or remove the image background without affecting the original image quality. Perfect for fast image edits in documentation, website mockups, and more. Add personality and professionalism to your screenshots with a variety of pre-made styles. Or you can create your own. Get your images to the correct size, right down to the pixel. Use the Resize option to enter new dimensions to scale the size of the image.